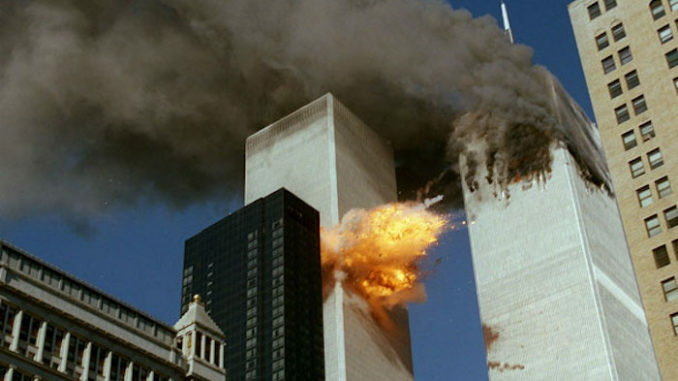 A grand jury investigating the 9/11 attacks will be shown evidence that the Twin Towers were brought down by a controlled demolition for the first time. On April 10, 2018, the Lawyers Committee for 9/11 Inquiry submitted a legal petition to the U.S. Attorney for the Southern District of New York for a Grand Jury to examine the evidence for the destruction of the World Trade Center buildings. Paulcraigroberts.org reports: What transpired last month is without question the greatest step forward the 9/11 Truth Movement has ever taken toward bringing about a real investigation into the events of September 11, 2001. In a letter dated November 7, 2018, the U.S. Attorney for the Southern District of New York notified the Lawyers’ Committee for 9/11 Inquiry that he would comply with the provisions of 18 U.S.C. § 3332 requiring him to present to a special grand jury the Lawyers’ Committee’s reports filed earlier this year of unprosecuted federal crimes at the World Trade Center. This means a 23-member grand jury, vested with subpoena power and the authority to take sworn testimony, will hear the voluminous evidence of the World Trade Center’s demolition and will have the ability to conduct a thorough investigation that results in indictments against suspected individuals — in other words, what the 9/11 Truth Movement has been working toward for 17 years. Rather than simply crossing our fingers and hoping for the best, this real and time-sensitive opportunity to achieve our ultimate goal demands that we do everything in our power to ensure a thorough and successful grand jury investigation. Because the U.S. Attorney is legally required to share all evidentiary filings made by the Lawyers’ Committee — including any future submissions — there are several measures the Lawyers’ Committee and AE911Truth can and must take to bolster the evidence, increase the likelihood that key experts and eyewitnesses will be asked to testify, and further assist the jurors’ investigation. From now through December 31, we humbly ask for your support so we can do everything possible in the months ahead to make this grand jury proceeding a real investigation. Please visit AE911Truth.org/GrandJury to learn more and make a generous year-end donation today. Together we can force the first real 9/11 investigation.